Windows Users : If you are developing on Windows, we recommend that you use a Windows 10 machine. Also, note that if you choose the Manual or Docker installation mode, you should also have administrative privileges on the Windows box so you can authorize the installation and running of the required executables. Clone the "master" branch of the Travel Sample app from GitHub. We are doing a shallow pull with depth as 1 to speed the cloning process. 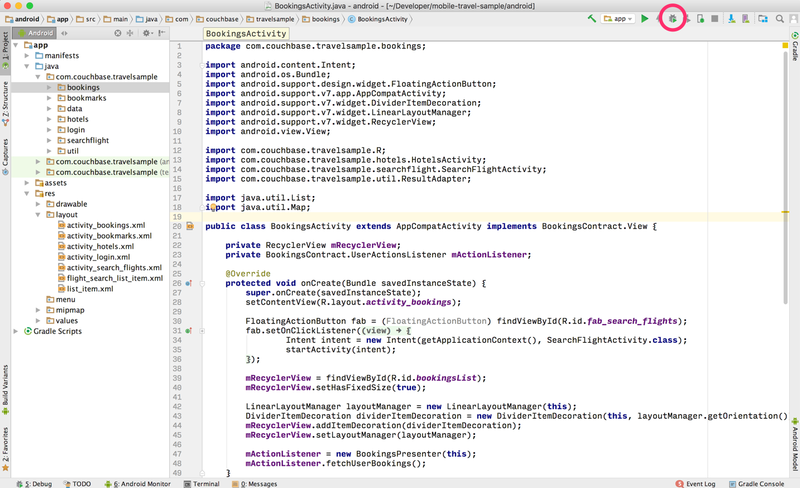 Open android/build.gradle using Android Studio. 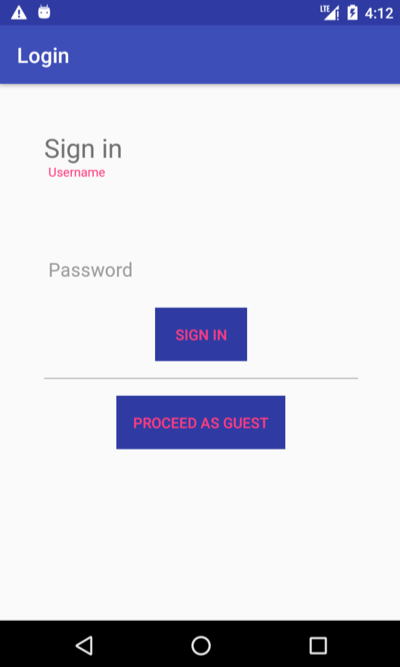 Verify that the login screen appears in the simulator.